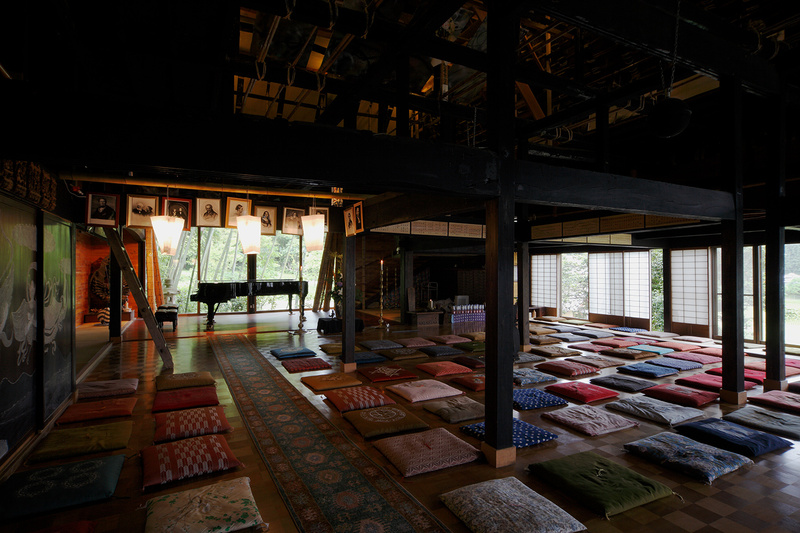 The official name for our Kayabuki Ongaku-do (The Straw Thatched Music Hall) is 'Kalavinkutsu', or 'Dwelling Place of Kalavin'. In 2006 it has been declared a National Registered Tangible Cultural Property. Kalavin (Sanskrit) is a mythical bird with the head of a beautiful woman. Together with Buddhism it arrived in Japan, it's song is supposed to be incredibly beautiful, comparable to the voice of the Buddha. 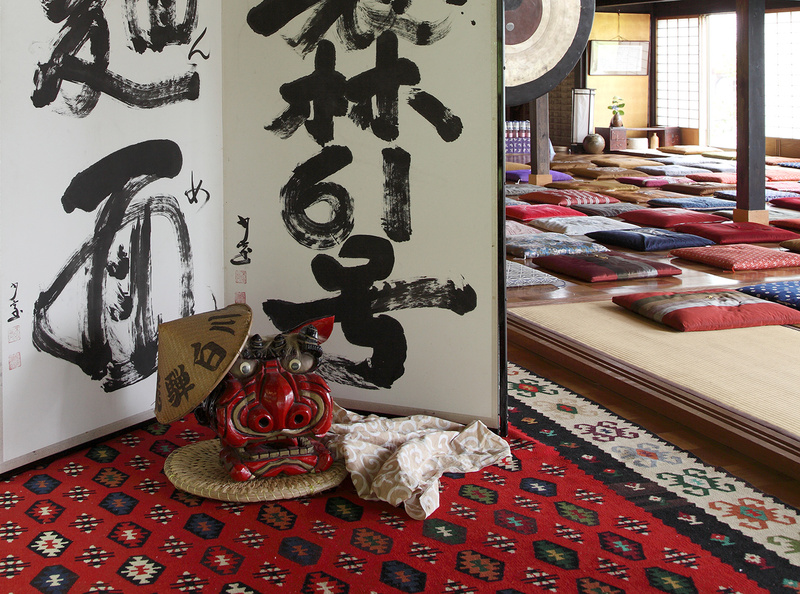 This name for our hall was bestowed by Hirata Roshi, the head of the Tenryu-ji temple in Kyoto. 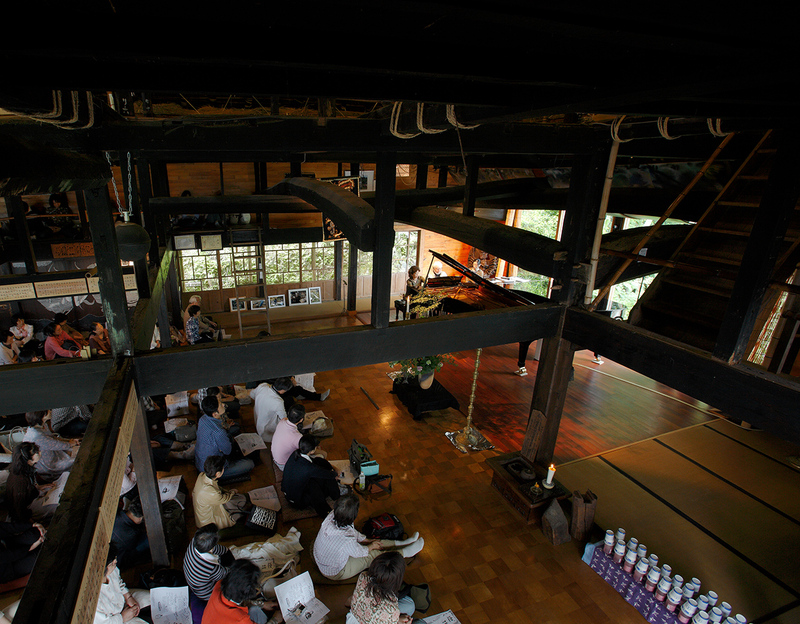 Our Ongaku-do used to be a Zen temple on a hill in a village in Fukui-prefecture called Kawakami, which belonged to the parish of Hirata Roshi, the resident priest there being a student of his. It was built in the 4th year of the reign of emperor Temmei, in 1783. The temple was in a rather dilapidated state, the congregation balked at the cost for its repair and upkeep, while the young priest did not want to move into the old building. So it was decided to build a new temple for him by the village. 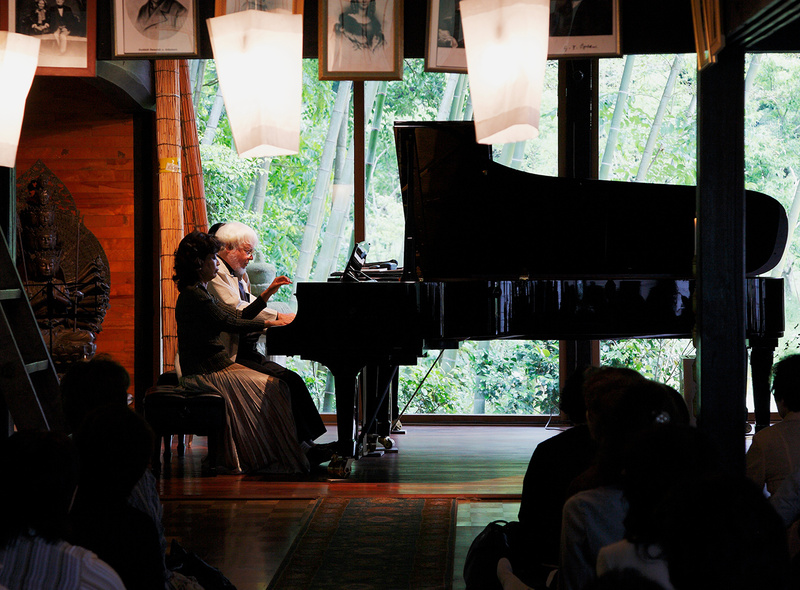 At that time I was thinking of building a studio for myself on the elevation above our house, since the children had taken over every square inch of living space and I had no more room to practice the piano. I heard of the temple, went there immediately and was offered the whole structure for free, if I would have it dismantled and moved away! The project was daunting by its sheer size and difficulty. The only access to the temple was one of those long-long stone staircases. Rather than putting in a new road for trucks, it was decided to make bundles from all the beams, tie them with wire ropes and have them whirled down to the road by helicopter. All this in the rain, which had dissolved the clay walls. This re-building took 6 months and 50 people. 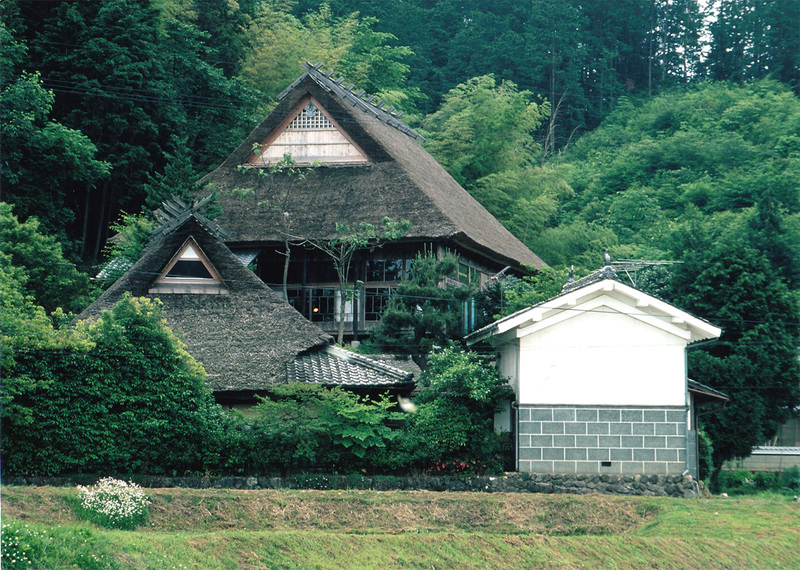 The straw thatched roof is a joy, but does need frequent repair, which are very costly. We have a special account for that purpose, where we are happy to receive contributions. If you would feel inclined to help with the upkeep, please contact us. Your name will be added to the many sponsors names visible in the concert hall.